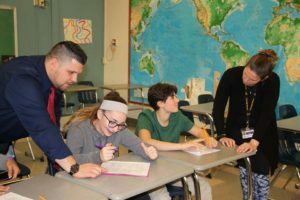 Troy High School was ranked among the top 25 high schools in the Capital Region with the best teachers, according to education data website, Niche. The ranking is based on many factors including but not limited to teacher tenure, student-teacher ratio and student and parent ratings of teachers. Troy High School received a A- for both overall grade and teacher grade.